If you consider yourself a devoted hunter, you’ll know that investing in a good quality rangefinder is a must. Whether you’re hunting with a rifle or bow, at the simple press of a button you’ll be able to experience a wide range of benefits and be one step ahead of your prey and competitors. 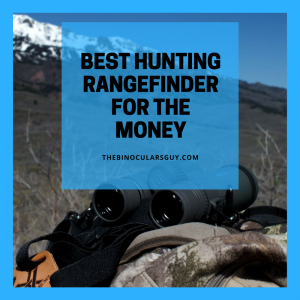 In the past a rangefinder was considered a luxury for hunters, but these days they are so developed and affordable that we decided to compile a list of the three best hunting rangefinders for the money to help you select one that will work for you! 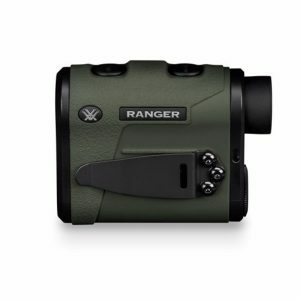 The Ranger 1000 rangefinder from Vortex can be described as compact and lightweight. At only 3.9 x 3 inches and weighing as little as 0.5 pounds, this rangefinder is perfect for hunters who are constantly on the move and need a device that will eliminate the guesswork for them while still being a comfortable fit. On top of this, the Ranger 1000 is also waterproof and built with a rugged design. This is great since you’ll be able to enjoy hunting in tough situations and harsh weather conditions without having to worry about your rangefinder letting you down during these times. Overall, this rangefinder is a good buy for the money with these and more features that will make your hunting experience a blast! 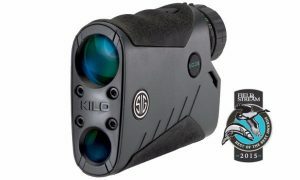 Sig Sauer created the Kilo 2000 Graphite Rangefinder with one concept in mind: long-range success. Any great hunter knows that timing is everything when out in the field and when the Kilo 2000 was designed, this was definitely thought about. This rangefinder has revolutionary light wave DSP technology which makes it range faster it long distances while still providing excellent accuracy and when put in scan mode, it refreshes 4x faster per second. A built in inclinometer allows you to read incline and decline angles and helps to modify the effective ballistic shooting range to your chosen target. This feature increases your chances of having a perfect shot every time – no matter the situation. Unique benefits are what makes one rangefinder stand out between the rest and the features on the Kilo 2000 are definitely not found on any rangefinder out there. 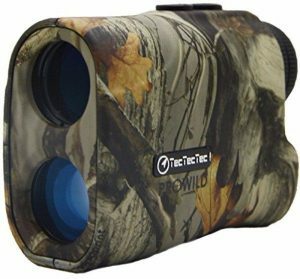 The name says it al – hunt like a pro with the ProWild hunting rangefinder from TecTectec. Gain some advantage on your prey by getting closer to them without taking a single step with this rangefinder in hand. This device measures not only distance but speed as well to make sure that every shot you take is a kill shot. If you’re an adventurous hunter, the ProWild will become your best friend with its rainproof durable body that allows you to use it at every single hunting outing. Never again miss out on that perfect target with this rangefinder by your side. Finding the best hunting rangefinder for the money is not an easy task or something that should be done in a hurry, but with the rangefinders listed above your journey has just been made more convenient! You would have noticed that all the rangefinders mentioned above eliminate guesswork, help you get closer and make sure about targets and best of all are convenient to carry around. These great features are provided while still buying something that is affordable. We recommended the three products above, but if we left out your favourite rangefinder, let us know below!